I made a form through Maya using extrusion tools. It was then exported to Illustrator where dashed lines were made for easy folding. 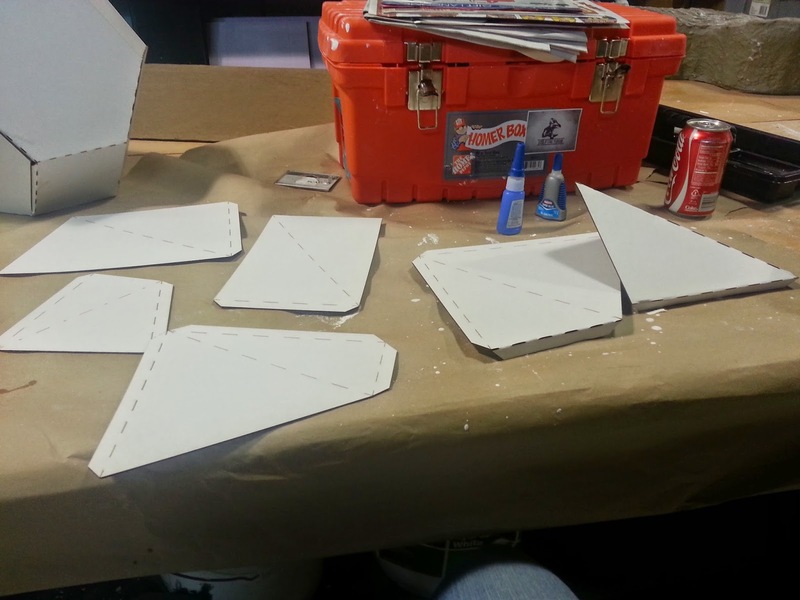 The file was then sent to Rhino where it was set-up to be laser printed. 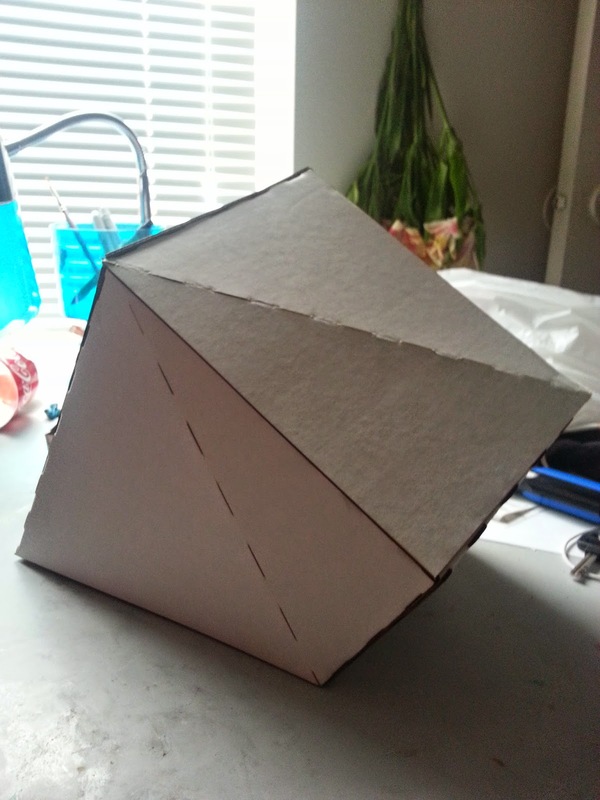 The form was folded and glued together. 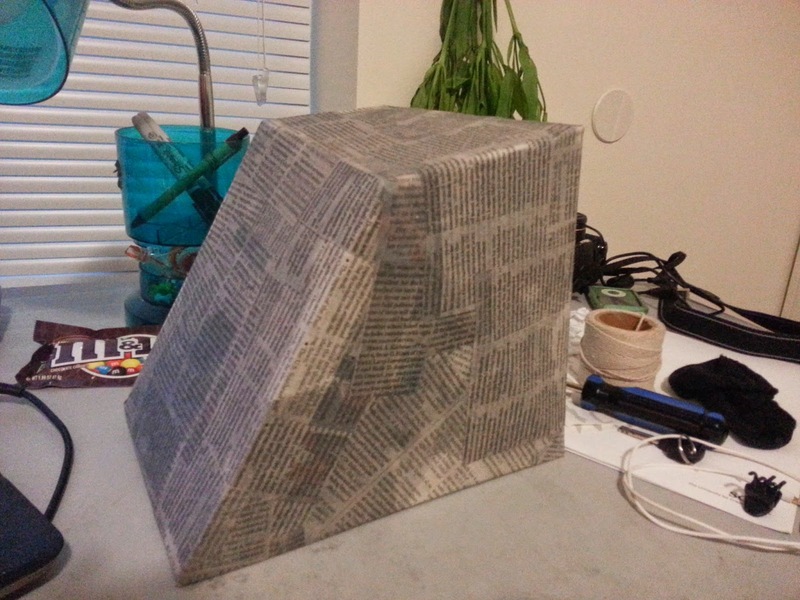 Using a paper mache method I coated the form in newspaper print. 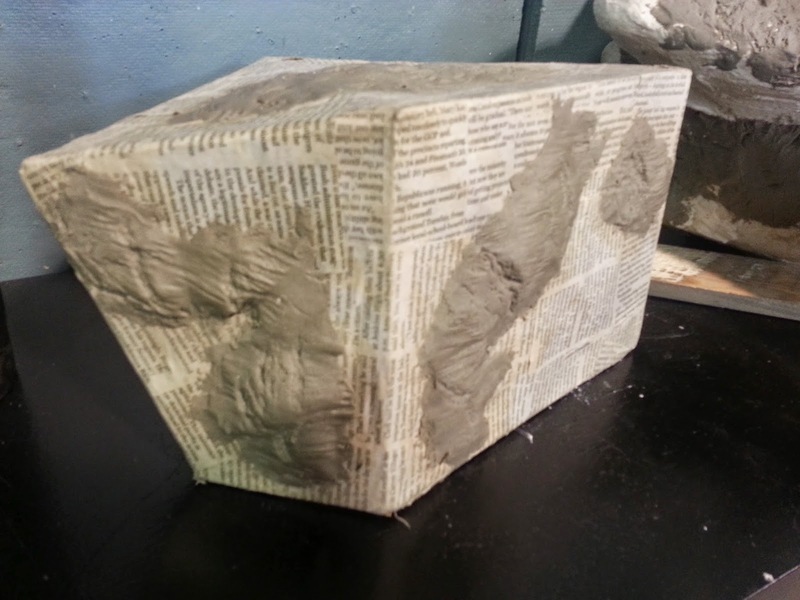 When the newspaper dried I added epoxy to each side and pressed texture into the form. The form was then painted. 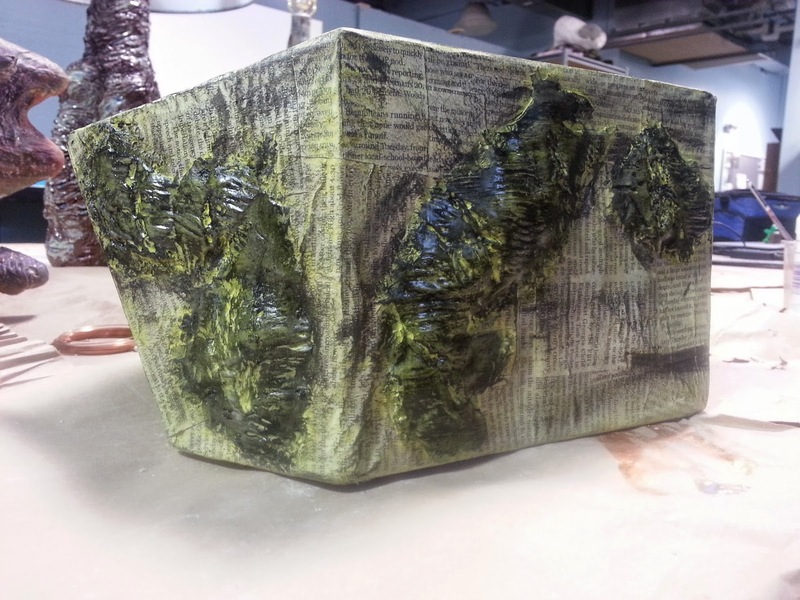 A yellow water color was added to the newspaper to blend in with the painted epoxy pieces. After it dried a gloss was added to parts of the piece.